SureCare Wolverampton provides a wide range of care and support services to the community. From busy parents requiring babysitting to those in need of personal care and support at home, we strive to give you peace of mind that your loved ones are cared for to the very highest of standards. We aim to provide care, assistance and support in ways that have positive outcomes for all of our clients, whilst promoting and encouraging their active participation. Our DBS-checked, well-trained, qualified, competent and compassionate care support workers and registered nurses represent the mark of quality for which the SureCare group, a leading domiciliary care provider established in 1994, is well known. 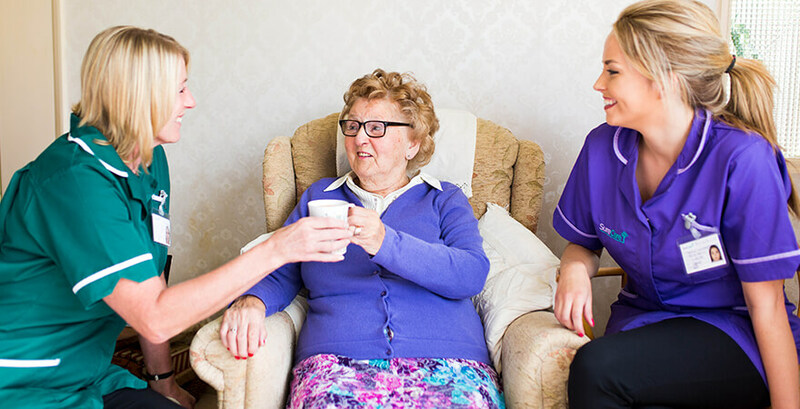 We take pride in training and inducting our care workers and staff to the highest standard. This guarantees that you or your love ones benefit from the highest standard of care you deserve. We provide comprehensive care and home services for all of life’s journey. Complex Care - with 24 hrs a day support. Companionship Services – assistance with attending events, hospital appointments, clubs, exhibitions, etc. Domestic Support - little chores you want us to help you with at home. Our home care services are available to anyone in their own homes – from the older person or those with complex care needs. We also know that no two situations are the same, so we tailor our care and support services to specifically suit you. We aim to go the extra mile to help your loved ones keep their independence at home. light solution to leakages etc. Our service solution also covers Domestic & Office Cleaning Services - SureCare also provides reliable and trustworthy staff for all domestic and office cleaning services. We provide compassionate end of life specialist support solution. Our fully managed End of Life Care Solution enables our client to spend the final days in their chosen environment and pass away peacefully, with dignity and surrounded by love ones. Whether you need live-in care full-time or as a means of allowing a family member to take a holiday, we can meet your individual needs. Sometimes, we are asked to provide a live-in care service for an agreed period of time while someone recuperates at home after leaving hospital. We offer staffing solutions to numerous establishment environments such as Nursing Homes, residential Homes, Mental Health units, Private Hospitals and Learning Disability Residential sites. Our staff are on hand to support you with holiday and sickness cover as well as last minute requirements. We also operate a 24/7 out of hours facility that is managed by our branch staff meaning that whether you call during core business hours or at the weekend you will come through to a local person who knows the area, our staff and most importantly your needs, preferences and skillset required. For more information about any of our services please get in touch or view our website. We provide 24 hours services all 7 days of the week. Information Available on request and based on Needs Assessment. 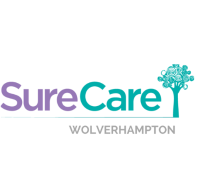 SureCare Wolverhampton will accept referrals of clients from private, public and charitable organisations as well as hospitals and social services. SureCare Wolverhapton is available to meet all clients needs.